Felix motors was started in 1921 the company was named after “Felix the Cat” a cartoon character of the time, for some time the cartoon image was used as an emblem on the side of the vehicles. I have seen a photograph on the web somewhere of one of there vehicles showing the Felix logo if I find it again I will update with a link to it. A full list of Regent III codes can be seen here. Absolutely right Chris – you will find a Willebrew ticket from Felix (N Frost) of Stanley Derbyshire, on the tickets side of the website. I wrote a book about the ‘other’ Felix a few years ago and it would appear that both of company histories shared a similar beginning. ‘My’ Felix started in 1921 and was named after a popular song of the day – Felix kept on walking. The first vehicle R 7831 which carried a cartoon cat emblem over the front window was sold to the above Felix in 1926 (it was suggested that this was why the Hatfield based company was named Felix but I never found any proof of this). Sadly it has just been reported that Felix (Stanley, Derbyshire) is to cease on 29th January 2012 after being taken over by TrentBarton – the local large bus company. Hope this is of interest. Felix in Stanley Derbyshire are now showing ‘Black Cat’ on the side, but are run by Trent/Barton. 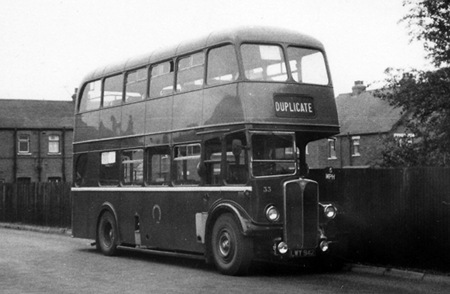 I recall seeing Felix buses in Doncaster but had no idea of the origin of the name. I suppose I assumed it was the proprietor’s name or else the Latin for "happy"! 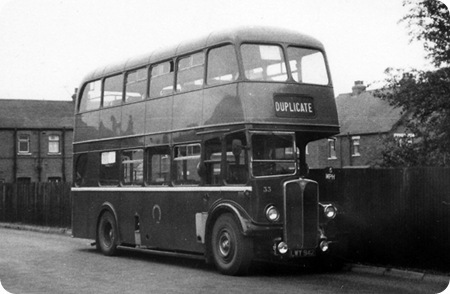 Early on Felix ran some Leyland Tigers but no others from the Leyland "zoo", being mainly an AEC operator. Geoff – somewhere, in an article long ago, there appears a magnificent lady driver in WW2 just climbing elegantly into the cab of a prewar Felix Regent in Doncaster. She is dressed in a long white smock and sports a very chic 1930s hat and, if I remember rightly, a long skirt in lieu of the usual slacks. She was clearly ‘doing her bit, don’t ya know! A change from driving the Rolls, what with the fuel rationing!" Nay Lad, not in them parts….